This movie is an incredibly awesome voyage. For anyone who has ever played with legos or has had the chance to watch someone else play with them, this movie is relatable. It uses the imagination children have when playing with these colored building blocks and creates an elaborate storyline using animation and live action. It includes an all star cast with Will Ferrell, Chris Pratt, Morgan Freeman, Jonah Hill, Will Arnett, Liam Neeson, Elizabeth Banks, Alison Brie, and many more! 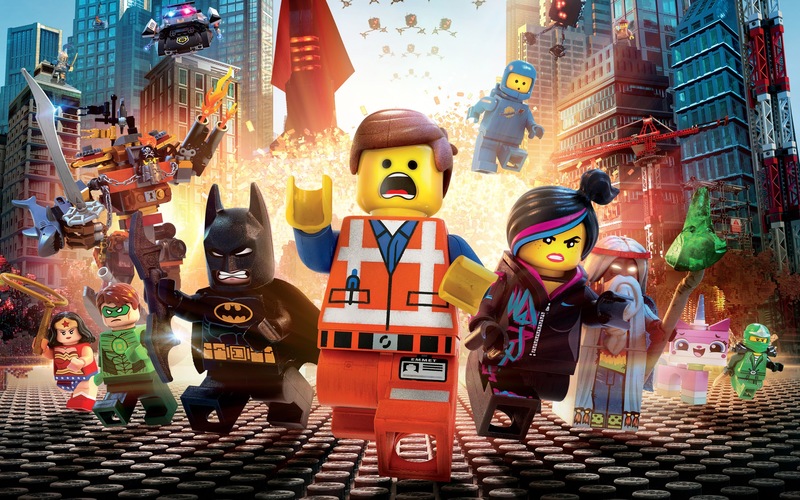 The story follows one construction working Lego piece, Emmet (voiced by Chris Pratt), who lives a normal life until he finds Wildstyle (right of the Construction worker above and voiced by Elizabeth Banks) and falls into a pit where he gets an unidentified lego piece stuck to his back. It turns out this piece can save the whole lego universe or destroy it if it’s in the wrong hands. A group of “master builders” join together to take down the “government” which is run by President Business (voiced by Will Ferrell). They meet several different lego characters such as Batman (Will Arnett), Wonder Woman, Han Solo, Gandalf, and Abraham Lincoln. Being a child that played with legos, this story speaks out to me and others just like me. 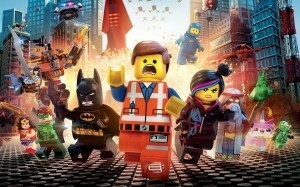 I was that strange kid who created scenarios similar to this movie with the legos pieces I had at home. Watching this movie was nostalgic because I was watching what my imagination used to look like when I was younger. The fact that highly regarded actors and actresses wanted to participate in this movie made me incredibly happy and made watching the movie that much more fun. It was like watching people you know being weird. Obviously, we don’t know these actors on a personal level, but playing with legos is almost a personal exchange which makes us feel like we’re just hanging out with them. Since this movie allowed us to fall back into feeling like a child, was brought to us by named figures, and was overall entertaining, I can only give this movie 5 out of 5 stars. I would highly recommend this movie to anyone who wants to have a good laugh with a few friends and be easily amused as someone who continues to play with legos.